PANNAR is committed to supporting farmers by providing first-class products and expertise. We strive to deliver tailored advice and service through our team of experienced sales representatives and agronomists. fingertips. There is always something new and useful in the pipeline to simplify your farming operations. It is a must-have for all grain crop farmers. The PANNAR® Sprout™ mobile app has proved a great technical support to farmers in Africa over the last three years since its launch. The app continuously evolves in response to our farmer’s needs and this year, we are pleased to bring you PlantDr – Sprout’s latest and most sophisticated feature yet. Grain crop farmers can now upload pictures of disease infected plants and submit them along with some background information to our expert team of agronomists and plant pathologists for analysis. PANNAR, in turn, will track the spread of diseases and alert farmers to potential disease threats in their areas. The popular disease guide with all the commonly occurring and economically significant diseases and disorders of maize, sunflower and wheat in South Africa will remain in the app for quick and easy self-diagnosis. There are also tools to assist farmers in identifying the correct hybrid for their particular production system and to compare similar hybrids head-to-head to make an informed selection. There is a tool to determine the correct plant population per product and calculate the economic viability of replanting after damage to a newly planted maize crop. The yield estimates provide a means to estimate crop yields pre-harvest and the Safex prices and currency conversions are available for convenient reference. There is also a unit conversion facility to help convert Imperial to Metric units when researching case studies from abroad. 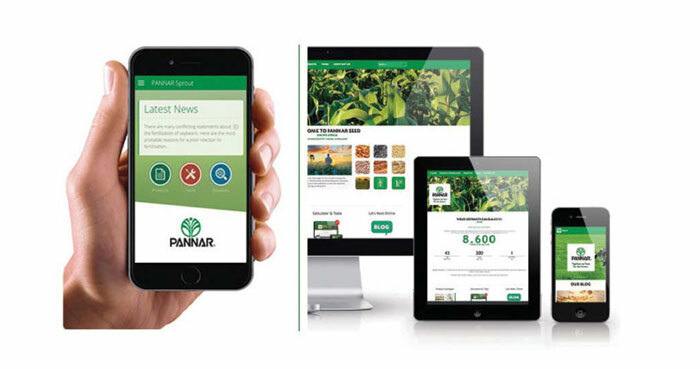 Farmers can download the PANNAR® Sprout™ free of charge from the Google Play or Apple app stores. Additional information can be found on www.pannar.com. At PANNAR we are committed to bringing digital solutions to farmers, to simplify their operations. You can expect the App to evolve as technology does, because together, we farm for the future. For more information contact your PANNAR representative or email info­serve@pannar.co.za. Article submitted by Christin Hunter, Communications manager, PANNAR Seed. For more information send an email to christin.hunter@pannar.co.za .